Hotel cancellations should always be made simple. Booking directly through the hotel company is the way to go. There is nothing more exciting than getting ready for a vacation. Whether business or pleasure, it’s all good. The hotel has been booked. The train or plane tickets have been purchased. The countdown has begun. All of a sudden, unfavorable weather conditions begin threatening the trip. Whether snow or a hurricane, it dampens the traveler’s spirit. The worst part is that hotel cancellations are very likely the end result. Hotel cancellations are the worst part of it all. Amtrak and the airlines are forgiving when it comes to cancellations, concerning the weather. Hotels unfortunately, are not so forgiving. There is much red tape and runaround. Hotel cancellations are what travelers dread the most. When it comes to hotel cancellations, travelers should follow three hints of advice. Having followed these three hints of advice, the process of hotel cancellations won’t have to be so cumbersome. 1) Booking directly through the hotel company: Of all three hints of advice, booking directly through the hotel company is key. There are many booking web sites advertised on TV and on the internet. Booking.com, Trivago, and Hotels.com are a few well known names. Booking sites are OK, but using booking web sites makes making hotel cancellations complicated by some degree. Travelers who are already members of a loyalty program such as Marriott Rewards or Hilton Honors should skip that step. Booking directly through the hotel company is a huge plus. 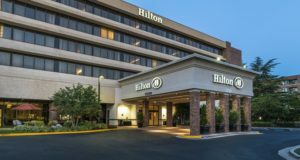 In the event of making cancellations, travelers can plainly do so without checking back and forth in between the hotel and the booking web site. One less step is one more step in the right direction. In an earlier article, the author had cancelled his reservation at a hotel in downtown Washington, DC. He had booked via Booking.com. Despite making the cancellation, he was still charged by the hotel for the one-night stay. The miscommunication between Booking.com and the hotel wasn’t worth it. He decided to book elsewhere. Moving forward, he booked directly through the hotel company. Lesson learned indeed! Booking directly through the hotel company saves unwanted stress. Booking directly eliminates the runaround concerning hotel cancellations. When booking a hotel room or making a hotel cancellation, it is vital for all travelers to review the hotel’s cancellation policy. Hotels normally allow travelers a twenty-four hour window. 2) Cancellation policy: Of all the hints of advice, travelers are often guilty on this one. When traveler’s make hotel reservations, it’s typical that they don’t review the cancellation policy. Luckily, they’re spared the penalty. When booking a hotel room, it’s vital to review the hotel’s cancellation policy. When booking through a booking web site such as Hotels.com or Booking.com, travelers must remember that each site has a cancellation policy of its own. Travelers must review not just the hotel’s cancellation policy, but the booking web site’s cancellation policy, too. It’s more red tape and runaround to deal with. 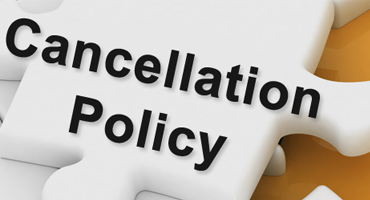 There’s no need to deal with more than one cancellation policy. It’s totally unnecessary. Booking directly through the hotel company is the way to go. Using one booking method means one cancellation policy. It’s pays to keep things simple. 3) Ask for the agent’s name! : Booking directly through the hotel company and reviewing a hotel’s cancellation policy are important. Of all hints of advice, remembering the agent’s name is the golden rule. Everyone’s heard the expression, “What’s in a name?”. In the travel industry, regardless of realm-airlines, Amtrak, hotel, or cruise line, making a reservation should always start with remembering the agent’s name. The reservation agent’s name is the most important aspect of booking a hotel room. When it comes to hotel cancellations, the traveler should commit the agent’s name to memory. When the author made his hotel cancellation, he wrote down the names of three different agents. All three agents’ names were at the same hotel. All three agents gave him different answers. Three different answers, one massive runaround! In case the author should hear from the hotel regarding his credit card dispute, he has all three agents’ names to share with the manager. Getting the agent’s name makes the process ten times easier than not knowing any names at all. 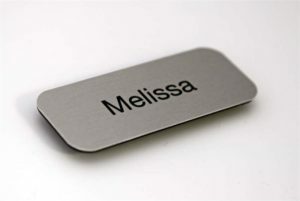 When making a hotel cancellation, travelers must ask for the reservation agent’s name. Remembering the agent’s name simplifies the process. Staying at a hotel is part of the fun of any trip. Whether it’s business or pleasure, a hotel booking should be done properly. Making hotel cancellations can be difficult. The stress of re-booking is just as annoying. As the author has learned, making cancellations does not have to be super difficult. Booking directly through the hotel company makes a huge difference. Having done so, it’s only one cancellation policy that needs to be kept in mind. There’s no need to deal with the cancellation jargon of both the hotel and the booking web site. Last but not least, travelers should always ask for the reservation agent’s name. The agent’s name is vital. Whether the experience was positive or negative, the agent’s name is key to making hotel cancellations in the utmost timely manner. Hotel cancellations happen under a multitude of circumstances. Following the proper protocol makes all the difference.